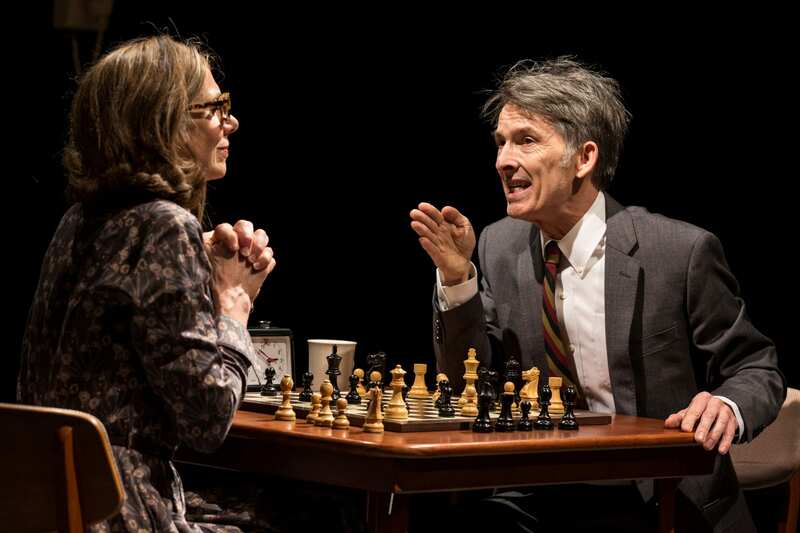 I Carry Your Heart at 59E59 Theatres is a well-meaning play that does not pack the wallop it could. The subject is an important one – organ donors, the recipients of said organs and the people who orbit them. The connections are much wider and deeper than those of us on the outside of this tribe realize. 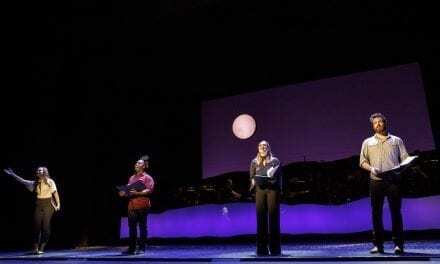 As a matter of fact this production has joined forces with LiveOnNy through Andy Brattain (Michael Feinstein‘s production manager) who himself received liver transplant and is now a public advocate. A great partnership indeed. Tess (Dana Scurlock) is in line for a heart, and on this day her number comes up. Her partner Lydia (Nicole Paloma Sarro) is a plain old wreck. Wanting to pause when they should be rushing, having no words when something needs to be said. In other words – a normal gal. Their son Josh (John Anthony Torres), the eternal optimist, tears down from school as soon as he can. Everyone waits. While the recipient side of this equation is waiting, the donor side in the person of Phoebe is in limbo. What do you do after your mother has died? Especially when her body has been relieved of some major luggage? Well, you sit in the hospital lobby and read the memoir your mother left you. It Debra’s way of apologizing for not being the mother of the year, for putting her writing ahead of her daughter. Enter Blake aka Dr. Wonderful (Nico Piccardo) who is balm for the troubled soul. He and Phoebe connect, and one thing leads to another. The rest of the play is spent following Tess and Phoebe as their paths parallel and inevitably cross. It is an overly circuitous route that could be shortened by 15 or so minutes if the characters said what they meant. Georgette Kelly gives us a lot of hemming and hawing with the result that we know what the characters are going to do long before they do it. Ergo the various plot points are anti-climactic. Tess and Phoebe finally meet after going through the proper channels of the Transplant Department – everything is anonymous unless otherwise requested. This resolution takes forever to reach, but it is over in a flash. After that moment, the play concludes so abruptly that it takes an usher clapping to let us know we are done. Odd. As it is, Kelly goes wide, not deep. The actors are not given much of a chance to spread their wings because the text keeps them grounded. The set by Justin Swader and Christopher Swader is a fine piece of engineering – Theatre C is t-e-e-n-y. As to the direction – Cate Caplin keeps everything moving along without incident. All in all, this is a noble gesture that had some in the audience rapt. It is certainly a subject that could use more than one light on it. So bravo for that. I CARRY YOUR HEART written by Georgette Kelly and directed by Cate Caplin. New York, New York February 18, 2019—59E59 Theaters (Val Day, Artistic Director; Brian Beirne, Managing Director) is thrilled to present the New York premiere of I CARRY YOUR HEART through Sunday, April 14. The performance schedule is Tuesday – Friday at 7:30 PM; Saturday at 2:30 PM & 7:30 PM; Sunday at 2:30 PM.